(AUSTIN, TEXAS – Sept. 18, 2018; source: Juice Consulting) – Social innovation hub and coworking space Impact Hub Austin is gearing up to announce the cohort for their 2018 Affordability Accelerator with a Meet the Cohort Happy Hour on Sept. 27. The cohort is set to be revealed officially to the public on Sept. 26, with the Sept. 27 Happy Hour taking place at Impact Hub Monroe from 4:30-6:30 p.m. The Monroe location is located at 411 W. Monroe St., Austin, Texas 78704. At the event, Austinites can hear about how the ventures of the cohort are tackling affordability issues with sustainable and innovative solutions. Ventures range in industry, sector and mission, but all are focused on addressing this rapidly growing issue in Austin. At the event, attendees can meet the cohort, hear about their ventures, mingle with mentors and engage with the broader community of stakeholders who are invested in addressing Austin’s affordability challenges. Light bites and beverages will be provided. To RSVP to the Happy Hour, click here. 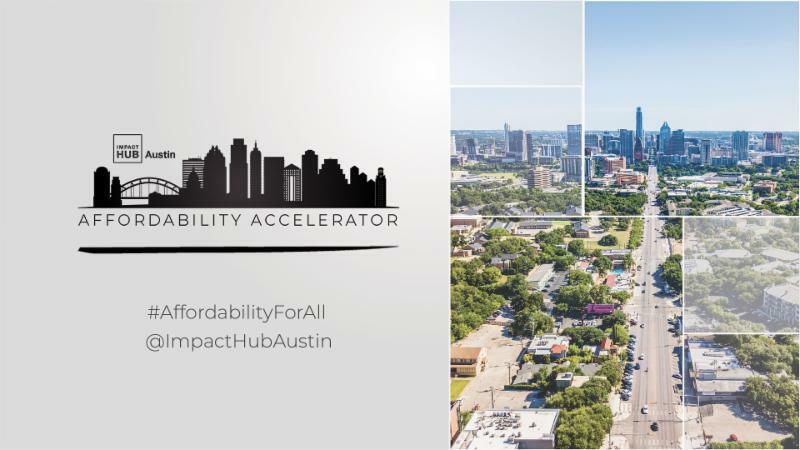 Impact Hub Austin’s Affordability Accelerator is a three-month program focusing on advocacy, innovation, and financing to keep Austin (diversely) weird and affordably engineered. The program brings together Austin-based teams and ventures to help sustainably address Austin’s affordability challenges. Impact Hub works with civic, tech and real estate industries to create these ideas and solutions and the members of the accelerator cohort not only learn and work together during the program, but also learn and work with mentors, industry leaders and experts. Applications are available online here. Supporting sponsors for the Affordability Accelerator include Google & JP Morgan Chase, BuildFax, Capital Plus Financial and Noble Capital.